Join naturalist Michael J. Granger for an educational adventure to learn about mysterious and misunderstood animals. At 5:00 P.M. there will be an open fire for grilling. Please bring your own food items and we will provide the fire and roasting sticks! 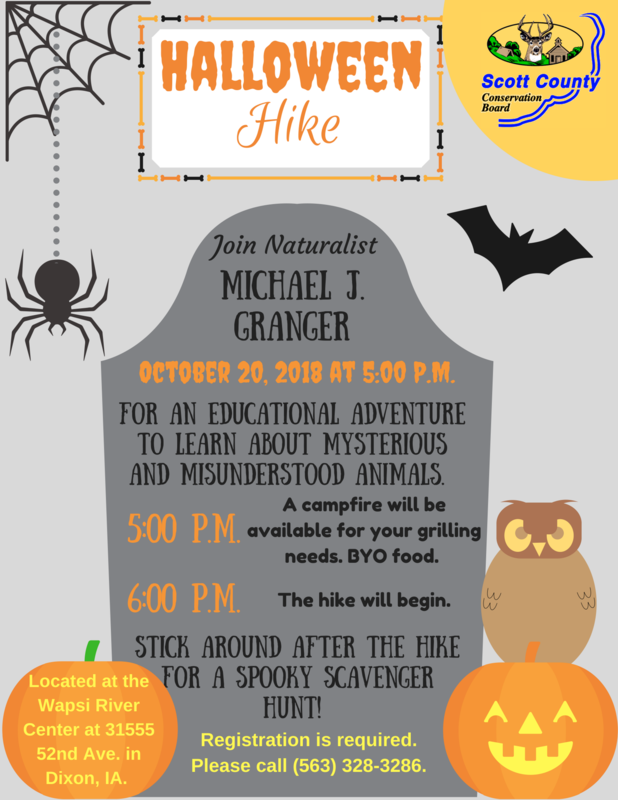 The hike will begin at 6:00 P.M. with a spooky scavenger hunt afterwards. Please bring a flashlight! Family fun for everyone. Registration is required please call 563-328-8386.